The European Union, the European Central Bank, and the International Monetary Fund (and the Fed, as well, although they don’t want to truly highlight it) provide $960 billion in backstops for the Euro-zone and what happens? The Euro ends the week lower by 3%!! Ladies and gentlemen, that is nothing more than a major “F&%@ Y#&“ on behalf of global investors to the aforementioned central banks and government entities. President Nicolas Sarkozy slammed his fist on the table and threatened to pull France out of the euro at a meeting of European leaders deciding Greece’s aid package last Friday, according to Spain’s El Pais newspaper. Athens Today. London Tomorrow? Washington Next Week? With social unrest increasing in Greece, anxieties skyrocketing across the EU, and the Euro making new 12 month lows, the question begs as to whether this crisis within the EU can be contained. Is the EU, with the support of the IMF, willing to collectively underwrite the fiscal disaster currently focused within Greece? The German citizenry is showing very little appetite to subsidize this Greek tragedy. While the EU’s political fortitude is a critical question, ultimately the reality of the mountainous debt levels must be faced. Global government stimulus has been able to mask, if not outright disguise, these debts for a period, but the debts themselves are not going away. How will the EU address this debt? 1. Devalue. That’s a given. It’s only a question of how and when. 2. Restructure. Look for more on this. This morning the IMF released their updated Global Economic Prospects. I will share with you the projected growth rates for the United States against those provided by the CBO and OMB. I will then provide some comparative analysis. The figures provided by CBO and OMB were projections from the 1st quarter 2009. As you can see, the White House projections forecasted by the OMB are wildly optimistic both for this year and next relative to the IMF and CBO. Those projections play directly into projected tax revenues and then, in turn, to the level of the federal deficit. If the IMF’s current projections are anywhere close to being accurate, our deficit will be significantly worse than previously forecast. What does that mean? HIGHER TAXES ACROSS THE BOARD!!! What happens then? Still, risks to the outlook, which have “diminished noticeably,” are still “tilted to the downside,” the fund said, citing a possible downward pressure on asset prices resulting from rising unemployment, pressure on bond yields from concerns on public debt, and emerging economies’ vulnerability to financial stress. A larger-than-expected drop in risk aversion and stronger demand in emerging economies could offer “some upside risk” that boosts growth, according to the fund. In a separate report today on the state of the global financial system, the IMF said that while financial markets and confidence in an economic recovery have improved since April, risks remain and policy makers must remain vigilant until a sustained recovery is under way. Credit risks are high, bank lending to the private sector is slowing and the recovery so far has been dependent primarily on public funds, the fund said in an update to its Global Financial Stability Report. Can the emerging economies of the world pull the developed countries out of the ditch? 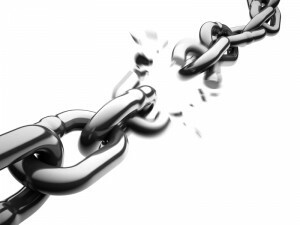 Will the global economies decouple? Is there any surprise why countries are pursuing protectionist measures? In regard to the United States, President Obama may want to have the members of his economic team, including Secretary Geithner, Larry Summers, and Peter Orszag, call John Lipsky at the IMF and ask him what he sees. 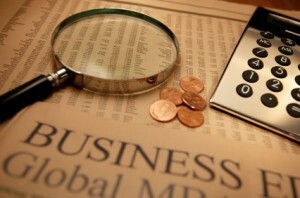 Tags: CBO, Congressional Budget Office, do higher taxes lead to slower growth, GDP projections for global economy from IMF, GDP projections from CBO, GDP projections from IMF, GDP projections from OMB, IMF, IMF Global Economic Prospects, IMF projections for GDP for United States, IMF projections for GDP in China, IMF projections for GDP in India, IMF projections for GDP in Japan, IMF projections for GDP of advanced economies, IMF projections for GDP of emerging economies, International Monetary Fund, John Lipsky of IMF, Obama's economic team, Office of Management and Budget, OMB, What is the CBO, what is the IMF, what is the OMB, will economies decouple, will slower growth mean higher taxes? The FT provides in depth analysis as IMF Puts Financial Losses at $4.1 Trillion. The IMF had forecast these losses earlier this month. The actual report is no better than the initial warning. The simple fact is the world is awash in excessive debt. This debt can be restructured, defaulted, and/or devalued. Each of these respective approaches will take time and money. While the IMF has a checkered reputation, I had the good fortune of working at JP Morgan with John Lipsky, current First Deputy Managing Director at the IMF, and hold him in very high regard. 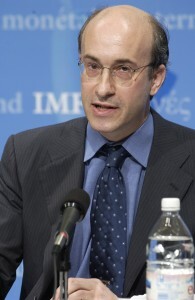 Lipsky is often the public face to the markets for the IMF given his reputation. The new estimate, while up significantly from January, will almost certainly be lower than a $3,100bn (€2,350bn, £2,111bn) figure circulating on Tuesday, which contributed to pressure on US bank stocks.